In so may ways, Mad Max: Fury Road has been the picture of the year. An entertainer through and through, the biggest point it scores on is the fact that its watchable over and over and over again. Without you ever feeling bored. Not even for a second. George Miller's picture is a non-stop visual assault, enforcing a chokehold on viewers and rarely letting go. The first time watching the the post-apocalyptic wasteland action blockbuster, the pace feels so fast you can just barely keep up with it. The second time, you're anticipating what's happening, and more aware of where everybody is - repeated viewings are like falling into the groove of a hit song. And really, when was the last time you went to see a movie and enjoyed each and every single second of it? That too one led by a female warrior - Charlize Theron as Furiosa? And one directed by a man like George Miller who's well into his eighties? There was a brief moment during the Oscars where it looked like Mad Max: Fury Road might be on the way to getting the recognition it deserved as a truly groundbreaking, visually stunning film. As is so often, Mad Max: Fury Road won a boatload of behind-the-scenes awards - but lost Best Director and Best Picture. Here are the Mad Max: Fury Roadwinners, which are richly deserved: best costume design, production design, makeup and hairstyling, editing, sound editing and sound mixing. I'm happy no other movie won as many awards as this one. But here's the thing: With Mad Max: Fury Road being acknowledged as the year's best in so many categories, why didn't George Miller and the film as a whole deserve to win? There were a lot of great movies in the past year. Spotlight's win for Best Picture was totally unexpected and far more welcome than it having gone to The Revenant. Bridge of Spies and The Danish Girl were fantastic. But Mad Max: Fury Road was a masterpiece - a credit to years of cinema in every way. And for doing absolutely everything right, George Miller and his team should have been rewarded for their efforts. Everything. And Tom Hardy? He's proved time and time again that he can do more with less than perhaps any actor working today. I'm not alone in my opinion. 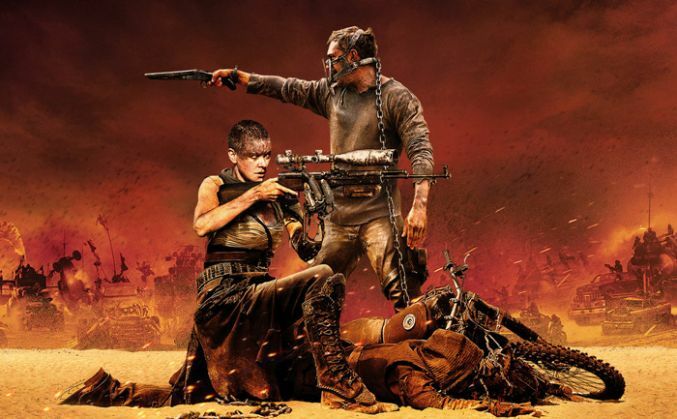 Rotten Tomatoes and Metacritic crowned Mad Max: Fury Road as the most positively reviewed film of the year. The film's critics have said that it is far too much action and not serious at all. But is Mad Max: Fury Road any less serious and important than best picture winners like Lord of the Rings: Return of the King, The Departed, or Silence of the Lambs? The most unusual thing about it compared to other Best Picture wins is that it's purely about the action. It does not pretend to be anything more than a jolly good ride. And making a truly great spectacle is every bit as challenging as making anything else. There are also a few thematic issues in play - the movie has several things to say about feminism and environmentalism. Sadly, there's just no time for loud king's speeches on these subjects. Leo's been nominated four times before. Will fifth time be the charm at the Academy Awards?